The more your child writes, the better they will spell. 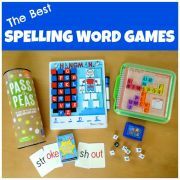 Spelling is learned as we use it and so a great way to help your child to spell better, is to give them a quick and easy way to check their spellings as they write. 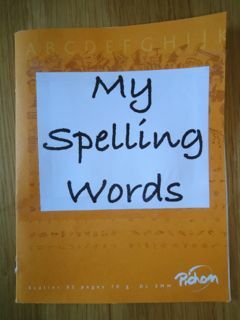 With this in mind, I decided to create a Spelling Words booklet for my son. I wanted this booklet to be a place where he could check the spelling of words he wanted to use in his writing, recording as he went any new words which he was having trouble spelling correctly. I am fortunate in that my son seems to enjoy writing. However, he often writes with little regard for spelling and I am loathe to dampen his enthusiasm by constantly correcting his spellings when he proudly shows me his latest literary masterpiece. 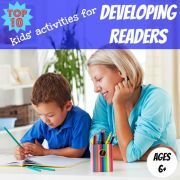 The idea of a booklet containing the most common words my child would come across was of great appeal, therefore, since I knew it would encourage him to check his spellings independently. By having the booklet beside your child as they write, they are reminded of the importance of spelling correctly and they learn to self-evaluate their spellings and decide for themselves if they should check the spelling of a particularly word. 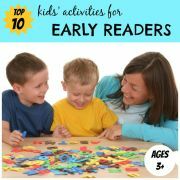 Commonly misspelled words are gathered in one place at your child's fingertips so that they can quickly check any words they are unsure about. The booklet is rapidly personalised as the particular words which your child uses, and struggles to spell correctly, are added to the booklet. 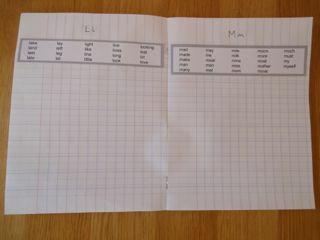 Using a small exercise book I wrote one letter of the alphabet on each page. 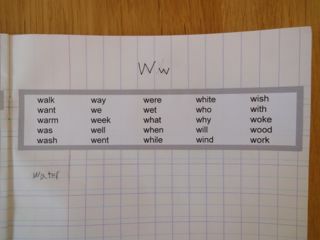 Under each letter, I stuck a strip of paper containing common words which children of my son's age use in their writing. There is plenty of room left under these words for my son to add additional words he is having difficulty with. 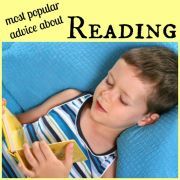 For the list of common spelling words to include in the booklet, I decided to use this basic spelling vocabulary list by Steven Graham, Karen R. Harris, and Connie Loynachan and appearing on the Reading Rockets website. 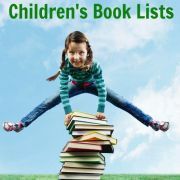 This list contains 850 words that account for 80 percent of the words children use in their writing. It is divided by grade level, and since my son is currently in Grade 2 (aged 7/8), I just used the words from the Grade 1 and 2 sections. 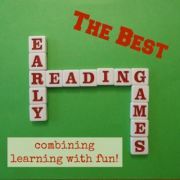 You can download a copy of these spelling words here, grouped alphabetically ready to cut out and stick on the top of each page of your booklet. If my son is struggling to spell a word and it is not in his booklet, I encourage him to tell me the word and we work out the spelling together. He then writes the correct spelling under the appropriate page in the booklet. To work out the right spelling we break the word down into its individual sounds, and deduce the correct spelling for each sound. Where there are multiple options to spell a particularly sound, I like to use Debbie Hepplewhite's Alphabetic Code charts to help us. You can find a North American version of this chart here. These charts provide the link between the phonic sounds and their different spelling alternatives. 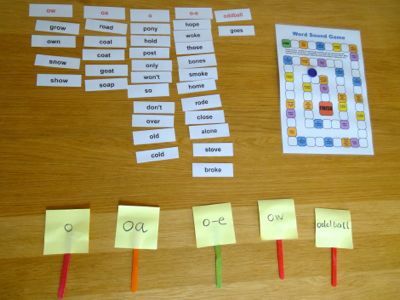 You can read more about phonic sounds and these charts here. After showing my son the spelling booklet and explaining how he should use it, I asked him to have a go at writing something using the booklet to help spell any words he was unsure about. 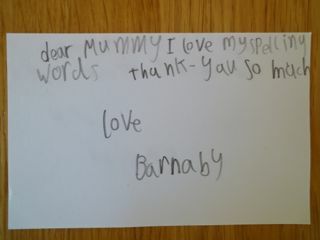 Judging by his note below, all correctly spelt, the booklet is obviously a success!